I usually would say it’s too early to be thinking about Christmas until after Thanksgiving, but this is a special case. The Tiki-Ti has just released their second signature tiki mug, a festive little number designed by Derek Yaniger and produced by Tiki Farm. 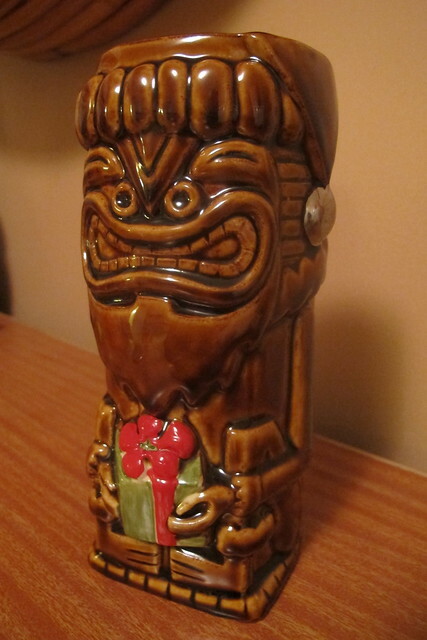 “Kahuna Kalikimaka” has a silver jingle bell on his Santa cap, a red and green gift and “Tiki Ti” embossed on the back. The beard and expression remind me of Kon-Tiki. 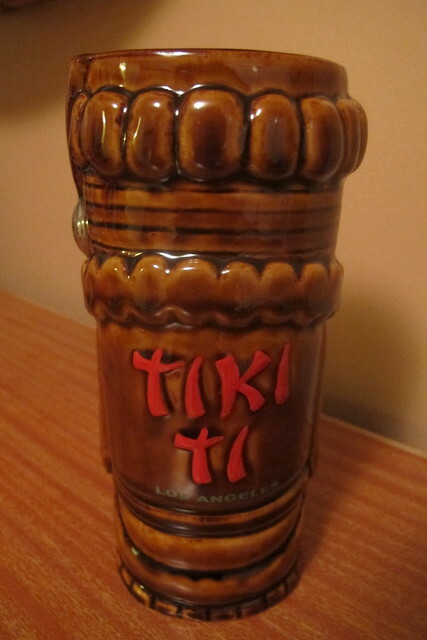 Around 500 of these mugs were produced — they cost $25 each and are only available at the Tiki-Ti (and surely eBay eventually). However the Buhens are about to close up shop for their holiday break, so Saturday night is your last chance to get one until they re-open the bar on December 12. UPDATE: Kahuna Kalikimaka mugs are now available for shipping. Check out the Tiki-Ti’s Facebook page for details. ← Not Just Food at Foodland…Tikis Too!